Border Patrol seized over 100 pounds of cocaine in unrelated incidents Monday at two separate ports of entry. HIDALGO — The Border Patrol seized over 100 pounds of cocaine in unrelated incidents Monday at two separate ports of entry, according to the Customs and Border Patrol Office of Field Operation. 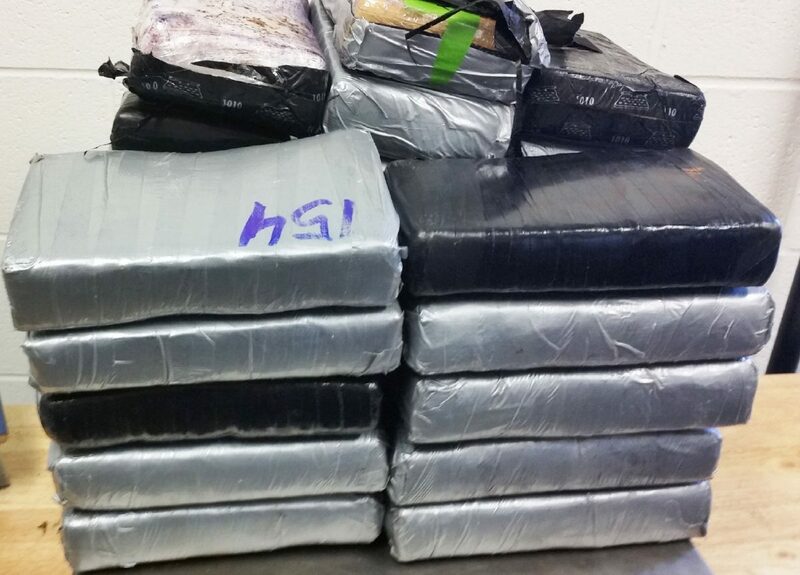 Officers at the Hidalgo-Reynosa International Bridge and the Anzalduas International Bridge found a total of 108.77 pounds of alleged cocaine on Monday. They seized the vehicles and arrested the drivers, who are in the custody of Homeland Security Investigations for further investigation. A 26-year-old Mexican citizen from Reynosa was crossing the Hidalgo-Reynosa International Bridge on Monday. With help from a K-9 team, officers uncovered 15 packages of cocaine, weighing 36.42 pounds, hidden in a black 2010 Nissan Altima. Later that day, a 45-year-old male Mexican citizen from General Teran, Nuevo Leon, approached the Anzalduas International Bridge in a gray 2001 Nissan Sentra. Physical inspection, a K-9 team, and non-intrusive imaging led to the discovery of 30 packages of cocaine, weighing 72.35 pounds.